Picture driving around Oregon in a luxurious sedan that surrounds you with the highest levels of opulence. If you’re tired of driving around in a vehicle that doesn’t get any recognition or isn’t known for its luxurious features, then visit Butler Hyundai in Medford, OR and check out the 2015 Hyundai Equus. Located in the heart of Medford, Butler Hyundai is one of Oregon’s top-ranked Hyundai dealerships and houses the best selection of new Hyundai vehicles. Our dealership proudly serves the Medford Metro Area, Grants Pass, and Klamath Falls, OR and will get you the best price on a new Hyundai that works for you. Stop by Butler Hyundai for an enjoyable car-buying experience and see how luxurious the new Equus is. The luxury sedan segment is filled with competitors from a variety of automakers, so let’s see how the 2015 Hyundai Equus performs against the Lexus LS 460. Large luxury sedans boast powerful engines to make your ride as comfortable as possible. 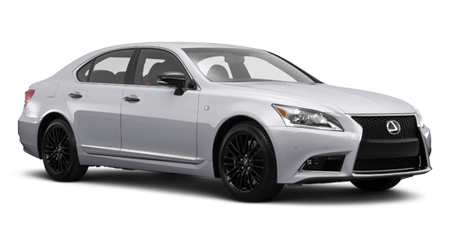 The LS 460 has a 4.6L V8 that makes 386 hp and 367 lb-ft of torque. The engine is mated to an eight-speed automatic transmission and can get 16/24 mpg (city/hwy). The Equus is equipped with a 5.0L V8 that generates 429 hp and 376 lb-ft of torque. The Equus also has an eight-speed automatic transmission and can return 15/23 mpg (city/hwy). The Equus’ engine returns approximately the same fuel economy while providing you with more power. If you value having extra room in your luxury sedan, then the new Equus won’t disappoint. The Equus offers you with more front headroom, front legroom, rear legroom, rear shoulder room and front shoulder room than the LS 460. With a passenger volume of 109.3 cu. ft., the Equus can complete your daily driving needs in comfort. 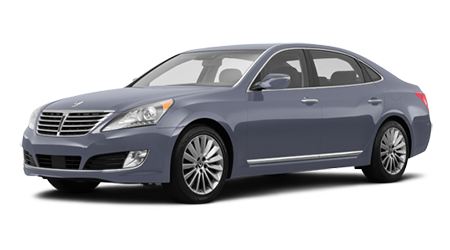 The 2015 Hyundai Equus is a luxurious sedan that can turn your commute into something that you can enjoy. When comparing the Equus to the Lexus LS 460, the Hyundai has the upper hand with its powerful engine, spacious interior and exceptional value for money. Come by Butler Hyundai in Medford, OR and put the new Equus to the test.